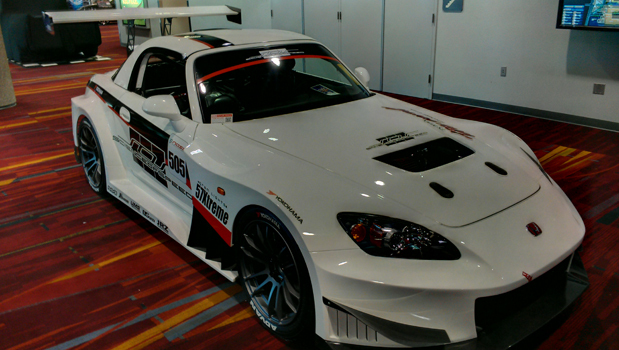 The world’s largest and most comprehensive aftermarket auto trade show, SEMA/AAPEX was hosted at the Las Vegas Convention Center and Sands Convention Center respectively on October 30th through November 2nd. This year a 2,700 record breaking exhibitors showed off their hottest new products and services to over 130,000 eager buyers. This event was covered by over 3,000 major media outlets from around the world. 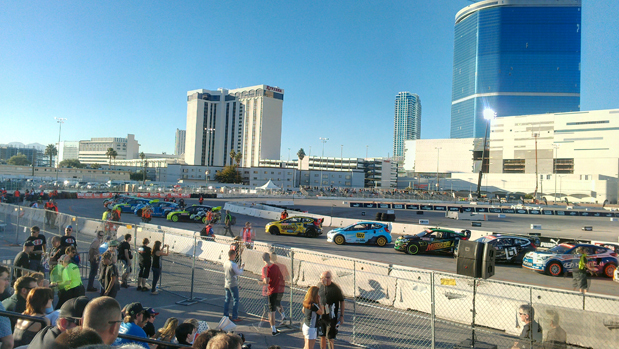 This year beside of the pimped out rides, fixed up street racers, the classic show cars, the super-duty, super-lifted trucks, and of course the beautiful hard working models, the Global RallyCross final stage was also held at SEMA. 600 HP + 4WD cars weighting in under 2,000lbs tore the track up in the fast turning, dirt mound jumping course across from the Las Vegas Convention Center. Teams had drivers with diverse driving experience, coming from 5 different continents around the globe. Super sponsors such as Ford, GM, and Hyundai all came together with an exciting finish with Tanner Foust taking the checkered flag. The showroom floor was equally exciting with companies like Toyota, Ford, GM, Honda, K&N, Meguiar’s, Mackin Industries, 3M, Kicker, Toyo Tires, Snap-on showcasing their products, existing features, sharing the industry with guests from around the world. Only a few exhibitors took the coveted SEMA New Product Showcase Prize like Verde Custom Wheels | V39 – Parallax from Topline Products, EZS7-02 from EZ Connector Inc., PH2 Validator from PH2 Solutions Inc., Continental Cross Contact LX20 from Continental Tire the Americas LLC, Sprint Car Front Drive Kit For LS Applications from COMP Performance Group were amongst the winners. We congratulate all the winners for this year. Only one day after SEMA and we are dying to see what newly imagined products and gear will be at the next year’s SEMA convention. 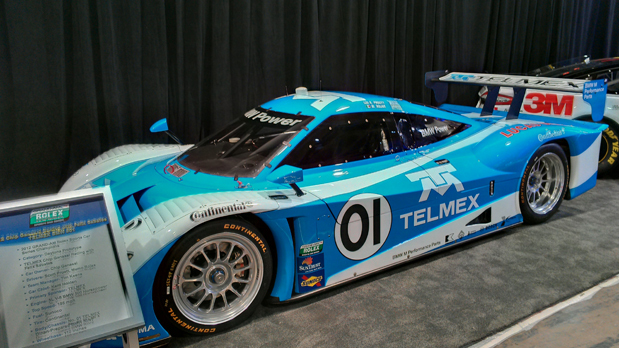 Make sure to subscribe to our newsletter to win tickets to the 2013 SEMA Show, and we look forward in seeing you there next year!